Much as I enjoyed enormously game number 39 - the Battle of Kanca Ciftlik or Hook's Farm - it did give me cause to think about a couple of 'tweaks'. Bob Cordery's 'Memoir of Battle' is derived from a fusion of the Command and Colours system with a dash of Morschauser thrown in for good measure. As a game system it works really well and Bob's tinkering has produced a set of rules for the late 19th and early 20th century that are easy to play, fast flowing and with that all important 'feel'. He has also added a very neat solo version which does not use the usual command cards and it is with this adaptation that this post is mainly concerned. There are a number of areas that I would like to expand upon though - and I must emphasise that this is purely a personal whim - and these will form the subject of this post. The exhaustion level is quite simply the point at which the army is no longer capable of offensive action. This is usually reflected by the number of strength points the army has lost - when it has accumulated casualties equal to or greater than the predefined exhaustion level the army may no longer conduct any offensive actions such as moving forward towards the enemy. As a general rule this figure is usually equal to around a third of the total strength points although I would tend to define this on a scenario basis. The concept of Battle Back - whereby a unit that is attacked may immediately counter-attack depending on various circumstances - serves to level the playing field to an extent in that an attack will require rather more thought than previously. I do not envisage using this for every type of combat - only that which takes place in an adjacent hex. In effect it could been seen as a local response to an attack. Ranged combat would not be effected by this rule so straight away you can see that the effect of such a measure would be ensure that under normal circumstances a proper fire plan against the target unit would be employed to 'soften' up the defences before an assault when in. With Bob's solo version of his rules the player rolls a number of combat dice to determine what units he can activate during the game turn. This is s simple and effective way of replacing the use of the command cards. However, it makes no allowance for activations being stockpiled for future use - or, put another way, command cards being held back to launch and sustain an attack in a particular sector. Using dice means that each turn can be very different in terms of what you can and cannot do. The rule I am considering is this. A player may hold back activations for future use but may never use more activations in a game turn than are allowed by his commander rating - this is either 6, 5 or 4 for good, average or poor respectively. Also, when a player rolls for his current activations for his game turn, should any flags be rolled these will have the effect of reducing any 'banked' activations for each flag rolled. This will allow a player to gamble on building up a bank of, say, infantry activations but these could be jeopardised by rolling a hand full of flags. I believe that this rule will have the effect of giving the commander the ability to plan ahead to an extent but it is not a 100% certainty. It is a gamble and could have potentially a battle winning impact but it could also paralyse a part of the army for no reason. When using command cards a player is able to hold back those cards that he thinks will give him a fighting chance of landing a telling blow in due course. Hopefully using the system outlined with the dice will have the same effect. I am hoping to run another action next weekend to try these ideas out and of course I will report the findings on the blog. The following action represents a further spin on the immortal Battle of Hook's Farm in that I am using a hexed grid (my Hexon tiles), Bob Cordery's Memoir of Battle rules and my own particular homage to wargames in days gone by - my wooden block armies. This means a total of 41 strength points each and both sides had an exhaustion level of 14. As a game turn consists of both sides completing their respective actions I decided that in the event of both sides reaching their exhaustion level in the same game turn then the side that had lost the least casualties was deemed the victor. The battlefield was a standard Command and Colours sized 13 x 9 hexed playing area. The buildings are from my collection of ceramic souvenirs. The initial dispositions viewed from the Bulgarian start line. Kanca Ciftlik is to the left of the central clump of pine trees whilst Yangin Kilise is the blue roofed building on the right. The Bulgarians are fairly concentrated with the infantry deployed to either flank and the bulk of the artillery in the centre and most of the cavalry on the left. The view along the opposing battle lines with the Turks on the left of the picture. The Turks have four of their six infantry regiments facing Kanca Ciftlik and their cavalry deployed in the centre and left flank. Turn 1 sees the Turkish advancing on either flank and securing Yangin Kilise (the church at the top of the picture) unopposed. Meanwhile the Bulgarians move up their artillery with infantry support for the assault on Kanca Ciftlik. The Turkish advance guard secure Yangin Kilise with the cavalry screening their left flank and the artillery moving up in support. Turn 2 and whilst the Turks are able to move into Kanca Ciftlik the Bulgarians response is swift and deadly as the farm is assaulted by their infantry and heavy casualties are inflicted on the defenders. Meanwhile the Turks consolidate their hold on the church with infantry moving up in support. Turn 3 sees the battle for the farm swinging first one way and then the other as the Bulgarian assault inflicts a further casualty on the Turks whilst they suffer heavily in return. The Turkish artillery joins the fray and opens up on the massing Bulgarian infantry in the centre. Turn 4 and the massed Bulgarian infantry in the centre secure the central building, thereby threatening both Turkish flanks. The Turks manage to beat off the assault on the farm and on the other flank, send the cavalry around to attack the Bulgarian rear. The gallant Turkish horsemen are driven back by the Bulgarians but a further regiment of Ottoman cavalry is on the way. Turn 5 and at last the Bulgarian attack in the centre begins to take shape although casualties are suffered from Turkish artillery and long range rifle fire. The Turks supporting the church are temporarily pushed back by the Bulgarian artillery. The Turkish cavalry are repulsed by the Bulgarian horsemen. Turn 6 and the remaining Bulgarian cavalry push into the wooded area on the left of Kanca Ciftlik whilst the infantry make ready to assault the farm. Disaster for the Turks! The Bulgarian infantry assault the farm and the remaining Turkish defenders are forced out (note the two flag results). The Bulgarians rush in to occupy the scattered buildings formerly occupied by the Ottomans. Turn 7 and the Turkish cavalry fight back against the Bulgarian horseman at the bottom of the picture. Meanwhile, the battle for farm increases in intensity as the Bulgarians come under heavy rifle fire from no less than three Turkish units. Can the Bulgarians hang on? Over on the Bulgarian right flank the last of the Turkish horseman are driven off and the Bulgarian artillery pounds the Ottoman infantry by the church. Turn 8 and at last the Turks begin to prevail against the Bulgarian right flank. The second Turkish cavalry unit gallantly charges into the Bulgarian horse and routs them whilst the Ottoman artillery continues to pound the Bulgarian infantry on the crest. The Bulgarian return rifle fire inflicts heavy casualties on the Turks by the church by way of returning the compliment. Meanwhile the farm of Kanca Ciftlik changes hands for the final time as the remaining Bulgarian defenders are destroyed and the Turks reoccupy the buildings although not without heavy losses. The Bulgarian cavalry engage with the Turkish infantry at the far side of the wood with each side suffering minor casualties. At this point both sides has reached their respective exhaustion levels - Turkey 15 and Bulgaria 17 so the Turks were declared the victors in a hard fought and close run action. I really enjoyed the battle as it is the first game I have played for a while. The rules (Bob Cordery's Memoir of Battle) worked really well although I may incorporate the 'battle back' facility whereby units can fight back against attackers if they are not destroyed as per the normal combat rules (not against artillery though). The solo mechanisms worked well but I will think about banking activations in some way - I will post about this in more detail later, once I have thought about it - so that game turns can potentially have a little more control over them. I am really looking forward to repainting these (I have four of them) from their RAF plumage and interestingly enough, the Turks refitted the Mk1 with two 20mm cannon in exchange for four of the .303 machine guns. I have mentioned previously about my project list and my long time tradition of buying myself something when I have gotten back into work. Well, the parcel arrived yesterday and very nice it is as well. However, I needed to send off for some rather essential additions to the collection and so it will not be unveiled just yet. My decision not to proceed with a Pacific set up for the WW2 aerial game has served to enable me to concentrate rather more on what I want to do in regards to the Middle Eastern project. I have come up with a provisional list for each of the four forces based on what models are currently available in the range and are suitable for 1941. 4 x MS 406 and 4 x Hurricane. 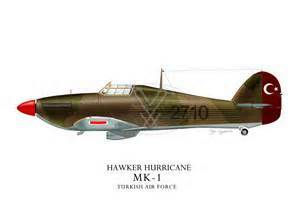 I originally intended on using P40s but decided on Hurricanes simply because I wanted them 'in theatre' and the RAF would have access to Spitfires. This does raise the spectre of Spitfire versus Hurricane dogfights which should be interesting, to say the least! 4 x Brewster Buffalo and 4 x Spitfire. The Spitfire will be the Mark 1 - I would have preferred to use a Mark 5 but they do not make one yet in the range yet. I rather liked the idea of a Fleet Air Arm contingent of Fulmars and Martlets given that the old fields being protected are primarily for the benefit of the navy. I may do something with this and if I do then it will require two of the former and four of the latter. 4 x Polikarpov I-16 and 4 x Yak 1. I want to get a pair of IL2 Sturmoviks for them as well - Mr Fox has one of these and it is a nice model for sure. If I ever add the French into the mix then four each of the D.520 and the MS.406 would more than suffice. If you have not tried the Axis and Allies WW2 air game then you really should - it is enormous fun to play and is quick and easy in its execution. It has been as busy as stink in my new job over the last few days but I have been enjoying what I am doing so that is the main thing! I have spent a little time on the hobby at odd moments and as a result have made a fairly big decision concerning my Axis and Allies Angels 20/Bandits High aerial collection. I am going to drop the Pacific theatre. The reason for this is very simple and comes down to the fact that I will need an awful lot of kit in order to do it properly. If I represented every type available thus far the collection would run into around 60 odd models and I simply cannot justify it - especially as the Middle East/Army Group South set up will finish up at around 40 odd models spread across four nations! 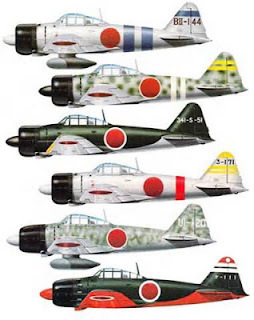 In truth I only own a few models for the Pacific at the moment but the prospect of acquiring great wads of assorted Japanese and US aircraft was quite daunting (or should that be Dauntless?). The models I need to get for the aforementioned Middle Eastern set are far fewer in number and I have sourced most of them in any event. Without exception repaints will be needed as most of the airframes will be in a desert style paint scheme. I have a few replacement command packs on order for the ACW 15mm set up simply because all the Essex standard bearers have cast on flags which are far beyond my level of effort and concentration to paint despite being lovely figures. I also have a model arriving that is the forerunner to something else I have in mind - I won't spoil the surprise but all will be revealed in due course. Give Aways - the Gift that keeps on Giving! That incredibly generous, gifted, witty and all round good girl, Tamsin P over at Wargaming Girl is giving away, via her prize draws assorted hobby related goodies so - you have gotta be in it to win it! Well done Tamsin and I would like to publicly apologise for not following you sooner! I am a huge fan of this series of ACW pictures - the reality was somewhat different though! I know I was only in the office for a mere three days but it feels like a whole lot longer! I have had three days of intensive training using new software and reading procedures manuals until my eyes bleed. I actually made contact with a live potential candidate today and have sat in on three interviews so all is moving along nicely. Next week I will be unleashed on an unsuspecting city so watch for the FT Index going haywire and shares of Starbucks going through the roof! I am absolutely loving it so far. One thing that did occur to me though is that as yet I have not kept to my time honoured tradition of buying something for myself to celebrate being back in employment. Such a tradition cannot lightly be set aside and so I will be splashing the cash in due course although probably in a direction that may come as something of a surprise. Of course with Broadside just around the corner I may wait until then. I will say no more on this. In the meantime though, I have been reading Rally Once Again by the late and great Paddy Griffith. The book is a study of what battle in the American Civil War was all about and it is one of the most thought provoking titles on the war I have ever read. Revisiting this title is to maintain my enthusiasm for all things blue and grey prior to the great paint fest. I will need to get a couple of packs of figures though to finish this off completely but nothing major. I have also been applying the brain cell (or rather what ever is left of it after some 16 hours of 1980s VHS training goodness - did we really look like that back then? If so, WHY?!) 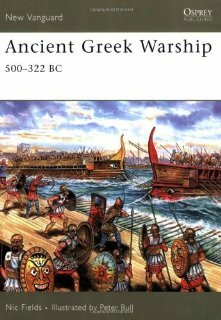 to the ancient galleys or rather reacquainting myself with the Salamis campaign, again, prior to starting the painting. My final instalment of models from Stonewall is still en route but oddly enough painting these is not worrying me in the slightest. All the models I have in stock are cleaned up and ready to base and paint and as mentioned previously will be tackled on a blitz basis. Tomorrow sees me going back to work for the first time since September 21 last year. The DIY list has been blasted into a million pieces, the project list has grown and shrunk more times than the UK economy; my library at home is now a lean, mean repository of selected tomes as I have been busily financing my hobby from my own resources, so to speak and I have even managed to get a lot of stuff painted (well a lot by my standards anyway!) during my enforced absence from the land of gainful employment. However, all good/bad things (delete as applicable) come to an end and so the inevitable reality of the workplace looms large once again. I am truly delighted to be doing so - especially as the job I am embarking upon represents a change of career and a new direction and challenge. It will be a grand adventure and so I wanted to write something suitably witty and original but instead decided to let the bard himself do the talking as he can describe the situation and how I am feeling far better than through the medium of my own humble efforts! The title for this is rather tongue in cheek. I have been spending some time tidying up what needs to be done in the next phase of my modelling/painting projects for the year and one thing has stuck out somewhat. Union and Confederates or the blue and the grey of the title. I will be completely honest about this, I shall be going for a simple painting style and I will also NOT be mixing types of figures up to get that authentic 'unit-on-campaign' look. The base figure I am using for both the infantryman and the cavalry trooper for both sides differs only in respect of the headgear. 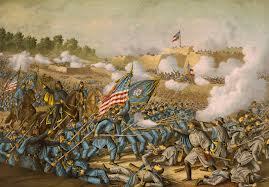 The Union troops will be wearing the kepi whilst the gentlemen of the South will have hats. Boring I know, especially when you consider that I am using Essex Miniatures and they are lovely figures. Everybody will be wearing light blue trousers as well. I have opted for the minimum types of figure so that I can really attack the figures en masse for painting. I am going for the stylised look and so no shading or highlighting will be involved - just flat colours dry brushed for the main but with details picked out in block colours where needed. I shall also be using a black undercoat which is a truly scary prospect for me I might add, despite having used it successfully for my ships. In any event a degree of experimentation will be called for beforehand, just to bed the technique down. My aim is to tackle the whole collection in one fell swoop. Mention of the painting of figures has also extended into what and how I will tackle my next project - that of Fezia and Rusland circa 1900 to 1914. I am going to cheat a little here. My plan is to use Balkan Wars Turks or Colonial Egyptians for the Fezians - both in the dark blue uniform with that rather fetching red fez - and for the Ruslanders I am going to make use of 1905 Russians so that I can ensure that a smattering of Russian dark green is in evidence. I could go straight for the WW1 uniforms but I really want to preserve a degree of colour if I can, hence using the slightly earlier uniforms. On the subject of yet another project, I received this morning the last of the ancient galleys I need for the Greek and Persian set up. The next phase will be to see about the painting of them and organising the new hexed surface for use with the models. Khartoum - I can almost feel a rush of Kipling based war poetry coming on just looking at the cover! I picked up the above title for two reasons. Firstly, the author, Michael Asher, has written a first class biography of T.E.Lawrence entitles Lawrence: The Uncrowned King of Arabia which I enjoyed enormously and secondly, because my knowledge of the wars for the Sudan is rather modest. Khartoum - The Ultimate Imperial Adventure by Michael Asher (ISBN 0-670-87030-7) covers the military campaigns from the massacre of the Hicks Pasha column at Shaykan in 1883 to the final confrontation at Omdurman in 1898. The story of the Gordon Expedition, gunboats on the Nile, Camel regiments, 'Fuzzy Wuzzies' the Mahdi, naval brigades and charging with the 21st Lancers at Omdurman are the quintessential elements of any good Colonial war game and so I am really looking forward to reading this. If truth be told I would also like to tackle this using figures at some point but this is some way off. I will go so far though as acquiring a copy of the rules published by Peter Pig - Patrols in the Sudan - as they are pitched at the right level in terms of the amount of material needed - typically 80 figures a side - so it would well within my means to take on. As promised (and despite a marathon number of essential phone calls in connection with 'unwinding' my unemployed status) I managed to get over to Essex Miniatures today to pick up the last bits and pieces I needed for for the two ACW 15mm armies. The organisation is in place for the set up in that I shall be using that suggested in the book Charge! This means 48 rank and file and officers etc above and beyond for an infantry regiment. I will also be adding a full strength cavalry regiment of 24 troopers plus officers and a gun battery of two pieces and crews. The artillery ratio is a little on the light side so I have added a third two gun battery than can be split or deployed in its entirety as required. I ma also add a two gun battery of rifles in due course. I also have sufficient figures to field the equivalent of a company of dismounted cavalry and one of 'elite' infantry if needed - in effect each army then will be able to field 5 companies of infantry, 3 troops of cavalry and a battery and a half of artillery. The above organisation also breaks down very neatly into Memoir of Battle or Portable Wargame style set ups and in fact will mean that I will actually have far more than I would ordinarily use but having the choice is no bad thing. I have a number of suitably serious looking general and staff figures - both mounted and dismounted so the 'brass' will get a good turnout. All that needs to be done now then is to paint them - and I have a couple of cunning plans concering that particular task. Yesterday evening saw yours truly at the club meeting up once again with Ernie (he of the downsizing of his collection and giving loads of stuff away to deserving causes fame) and taking delivery of a great wad of stuff. This time I was properly staggered by the sheer quantity of material heading my way and so will be heaping untold words of thanks and gratitude on the dear chaps noble head for some time to come. The big star of the collection was a ton of unpainted 15mm ACW figures (mainly Essex but with a smattering of Peter Pig); together with copies of Fire and Fury and the Peter Pig ACW rules, not to mention a couple of books and sundry other goodies. I knew about this haul for a week or so but have been rather coy about describing it simply because I had not decided on whether to paint them as ACW troops or to use them as the basis of a Fezian/Rusland (Russo/Turkish) type set up. I have thought long and hard about this over the week and have settled on using them as they are intended - for the ACW. The clincher for this is the fact that it fits in ideally with my planned river based activities along the Mississippi. I have a fascination with the whole river campaign idea for the ACW and so having the armies (made from figures rather than blocks) makes sense. As yet I do not have any models for the naval aspect but that will be remedied with a swift visit to Navwar for a modest selection of 1/1200th vessels - nothing like the shipbuilding-fest of the other year - as I certainly do not envisage needing more than a couple of dozen ships at most (shades of 'famous last words' or 'heard that before!'). In a sense this recent windfall has put me in the position of not having any excuses for undertaking this project - especially as it has occupied so much of my time and thoughts in recent years. I have the rules for the land and naval side; I have most of the models for the land side and know exactly what I need for the naval side and finally I have most of the library I am likely to need - at least in the short term that is! Once again a huge thank you to Ernie - I will make sure that the first action I fight with the figures will be with him if I can! As an aside the game at the club last night was the old club night standby of Space Hulk - using the the very nicely painted toys of Mr Fox. Yours truly was one half of the chittering horde that managed to chomp their way through a mere two of the Emperor's finest. Luckily one of these was the sole flamer marine who needed to survive if the marines were to win the scenario. ....You have certain parts of a project in place but not all? Or even no parts in place at all and just the wisp of an idea to roll with? Just how do sit down and prioritise what you want to do and how you want to do it? I will be scoring each category out of 3 where 1 represents nothing available at all, 2 has some parts but not as many as needed and 3 is fully up to speed. The first project to look at is the ancient Greek and Persian campaign idea I have been messing around with. For the rules I shall be using Command and Colours Ancients for the land actions and the old WRG Fleet Action set - possibly Dave Manley's Fire and Fury variant. For both aspects of the campaign I also have DBA and a naval version of the same so I am well covered for rules. This category then comes in at a 3. I also have sufficient models for the naval side but obviously these will need painting although that should not be a major hassle. The land side will be conducted solely using Command and Colours blocks although I have not ruled out acquiring some DBA armies for the period in due course - this is not essential though. I would score this category also as a 3. As far as research material is concerned for the war I am pretty well covered as far as the naval side goes but less so for the land battles. There are three Osprey campaign books for the land campaign (I have included Marathon in this for completeness) that would like to get a hold of as well as the history of the war by Burne. This is a work in progress and so I can only score this as a 2. Total out of a possible 9 = 8. Apologies for the vagueness of this but all will be revealed in due course. I have the rules readily in place for this project - in fact I have a very good selection of sets to use for both land and naval actions - so this will score an emphatic 3. Figures and models is a little more problematic although the land side can be easily handled using the block armies until figures are available. The naval side will need to be tackled from scratch although I do have a viable alternative that could be pressed into service in the short term. This will mean that a score of 2 would be about right. The library for this project is pretty much complete on the naval side and so any additional material would be nice to have but really not essential. The land side though is lacking some weight behind it and so I will need to get at least a couple of standard titles in. Like the figures/models category above, a score of 2 would be about right. Total out of a possible 9 = 7. Again, apologies for the vagueness of this but this is simply because I have not made up my mind about which combination of Turkey and A.N.Other will fit the bill. Luckily I have the rules readily in place for this project - in fact I have a very good selection of sets to use for both land and naval actions - so this will score an emphatic 3. Figures and models is a little more problematic although the land side can be easily handled using the block armies until figures are available. The naval side is currently under way and I have the plans in place for the final ships I want to add (I am thinking in terms of Fezia and Rusland here). I am going to score this as a 2 simply due to the fact that although it is very well advanced on the naval side I am really keen to tackle some models for the land side. At the moment though this is proving to be a thorny problem simply due to my own indecision. My library for this period is pretty complete and so I cannot envisage adding anything except if something really out of ordinary came to hand. I can happily score this as a 3 as a result. The rules are no problem for this - in fact the only problem is what ones to use. Happily a 3 for this methinks! I have a little over three quarters of what I want for the this set up although as yet very little is painted. Once I have the kit in house this will be a priority simply because I know I can tackle the entire thing very quickly. I can only give this a 2 due to the need to add some extra ships. How long is a piece of string? I have a modest but fairly complete library on naval warfare during WW1 but I am conscious of needing a couple of titles just to finish certain aspects off. As a result then, this will score a 2. Again, the rules are absolutely no problem for this - in fact the only problem is what ones to use. Happily another 3 for this methinks! I have a lot of material for the Middle Eastern/Caucasus - both figures and models but I still need a lot more. This is not because the forces I am raising are huge, it is simply because of the variety I will need. I need vehicles and aircraft to round this off, not to mention a lot more artillery. With this in mind a 2 is the only score I can give. My library for the early war period has a reasonable number of titles in it and so I reckon I could probably wing it with what I currently have. Having said that, depending on how the project looks at the business end I may need to add a few titles for completeness. Again, this will have to be a 2. I sat down to do this just to see how my various projects would look in terms of the stage they were currently at and so whilst it was a useful exercise I am not sure how valuable it has been. I have also not included a number of the more whimsical ideas with which I am currently flirting! It would appear that the higher scoring projects (Ancient Greeks and Persians and the Early 20th century) are the ones that should be focused on in order to finish them. This is true up to a point but the 19th Century project is very close to the two 'winners' in that if I acquired the ship models needed it would actually be at the same state of readiness as the Ancient Greeks and Persians, i.e. using blocks for the land games and with a pile of models that needed painting. One thing that did surprise me though, was the fact that rules for any of these projects are plentiful, tried and tested and readily available. At least that is one thing I won't have to worry about! The title of this post just about sums up the events of this weekend - and in every way it has been a good one! The sun has been out, the barbecue was delicious and as I pointed out to SWMBO, proof positive that men CAN multi-task - I can turn a chicken drumstick AND drink a beer simultaneously! Aside from a great day in the garden today we went to a boot sale yesterday and I picked up a copy of the above book for the princely sum of 50p. 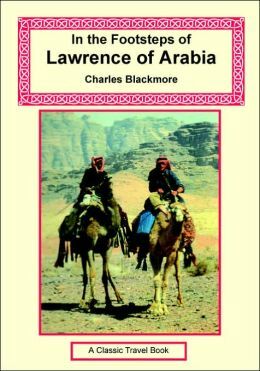 Regular readers of this blog will know that I am a huge fan of Lawrence and his role in the Arab Revolt and have often thought long and hard about how best to game this (thus far without success but I am sure it will come right in the end!) episode from the Great War. The book traces the journey undertaken by the author over much of the territory covered by Lawrence and described (sometimes rather colourfully it must be said) in his book, The Seven Pillars of Wisdom, by camel and in the company of Bedouin tribesmen. I must confess to being a great fan of travel writing, probably because I enjoy travelling myself, so I will look forward to this. Who knows? Perhaps it may help to give me the inspiration to finally undertake something Arab Revolt related on a wargames table. The scratch built ACW Confederate Ironclads before being based, now departed but soon to be relaunched (or more accurately, replaced). A couple of years ago I went all out on scratchbuilding some fifty ACW river warships for a planned series of actions based on the war along the 'great father of the waters' - the Mississippi river. I even fought some actions using the models - both as pure naval affairs and also in conjunction with a land battle. I have always liked the idea of combined arms actions and really enjoyed the experience. This particular interest really kicked off for me after having acquired a copy of Jack Coombe's excellent book: Thunder Along the Mississippi. this book is, for me, one of my all time favourites and sits with his follow up volume: Gunfire Around the Gulf, in the ACW section of my library. Pook's Turtles - all of them....(and yes, I also built USS Benton and USS Essex!). The ship models went via eBay for no other reason than that I was not convinced my approach was the right one in terms of the 'look' of them. They were too detailed for game markers and not detailed enough to be classed as models and I could never really take to them for some reason. Making them though was a lot of fun and I learned a lot from the process. Certainly should I repeat the experiment I will know what not to do! For reasons that will become known in due course I plan to revisit this period and theatre of operations and am currently thinking about how best to tackle the naval side. I do not want to use 1/600th models so am looking long and hard at 1/1200th from our friends at Navwar. These will fit very readily on my Hexon terrain and would also suit the block armies should I be using them for the land battles. I had planned to make use of ACW river warships for some Fezian and Rusland action along the Danube anyway but for reasons that will be clear very soon (probably by Thursday of this week) this will now not be the case and so instead the swampy bayous of the Mississippi will be taking centre stage once again. With my impending return to full time work on the 15th (beware the Ides of May....) I am spending some time over the bank holiday weekend having a serious think about what I am doing and exactly how I am going to do it. The project list will not be any more extensive than it already is but with much less time available to tackle it I need to think carefully as what I will be doing. Luckily the naval stuff is very time effective in that painting ships does not take long and organising a game is also a quick and painless process - mainly because of the ease of setting up. The planned ancient games will take a little longer in this respect as they are mainly fought close to shore so terrain will feature. The same also applies to anything river based - either the ACW or along the Danube. As far as anything land based is concerned then that is a different matter entirely. I have yet to settle on what I want to do and am still bouncing around between scales and so the recent acquisition of a pile of 15mm Western gunfight figures may well have a bearing far beyond the Arizona desert! I will need to give the land side some serious thought as I will want a 19th and a 20th century set up in some fashion but at the present time am undecided on how best to tackle this. Or even in what scale. Or even in what wars. .... After 210 days of being unemployed I have today been offered - and have accepted - a new and permanent position in a completely different career to that which I have spent the last thirty years doing with the start date being the 15th of May. This just goes to show that even at my age (52 going on 18.....) it is NEVER too late to try something different. How good do I feel? I popped in for a flying visit to the club last night with the intention of returning a few bits and pieces to Mr Fox and to catch up with my old friend Ernie Fosker. Ernie is a fine chap and tries to get to the club when he can despite living some distance away. Over the years he and I have often conspired to get various projects off the ground - usually without success -and have enjoyed much banter over the same. One of our projects from some time ago was to tackle the North Atlantic in WW2 using 1/3000th models. He amassed the fleets for the same and even managed to get a couple of ships painted - Bismarck, Prinz Eugen and a brace of destroyers. They looked really good. Sadly the initial enthusiasm waned (and we all know about that feeling!) and the remainder of the models lived in their unopened packets in an old biscuit tin. I was basking in the afterglow of this incredibly generous gift when a second one also dropped in my lap and this has completely confounded me and carefully thought out project list. Peter Pig has a range of 15mm scale models and the accompanying rules and terrain for games set in the Old West. the rules are called Hey! You in the Jail! and are part of the RFCM series. Ernie has given me a 14 pack assortment of figures, the rules and the plastic bases used - the figures being virtually all in the original packs! All told there are some 50 foot figures and around 25 mounted. What to do, what to do! Over the years I have fought in a number of skirmish level Western gunfights where one figure equals one man (and usually in 54 or 28mm) but not on this larger scale - the games typically have between 30 and 50 figures a side. Again, this starter set needs very little adding to it to make for a cracking set up. The range also includes US Cavalry, Native Americans (that's Indians to the less-than-politically correct among us) and Mexicans - there is even a train for crying out loud! I was properly staggered when I got home yesterday evening by the sheer amount of kit contained in these two boxes and mere words would not be sufficient to express my thanks and gratitude to Ernie for his quite frankly incredible act of generosity. In closing I can say only one thing - that's my project list for the year well and truly stuffed! I am indeed a lucky chap. "Row, row, row your boat....."
After having spent the last two days on the usual job hunt and the associated phone calls and emails; not to mention the huge undertaking of painting all the garden fence panels - it was with some relief that the Osprey title above dropped through my letterbox. B - Organise a hexed playing surface. Ok then, I will have to admit defeat with this one! The game was too large and extended over too many different actions to be easily condensed into anything less than five or even six posts. I have spent a lot of time trying to edit it down into something meaningful but every time I think I have it nailed something I have forgotten re emerges from from the pad of scribbled notes that has to be added back in. It was too ambitious to fight as a single game as it was in effect almost a mini campaign - more accurately, a mini-Jutland. My plan then, is to write the full thing up in its entirety, turn it into a PDF and make it available via Google docs or similar for those that want to read the whole thing. I shall be retiring game number 39 from the list and will also take down the two posts drafted thus far as they will now feature in the file when ready. 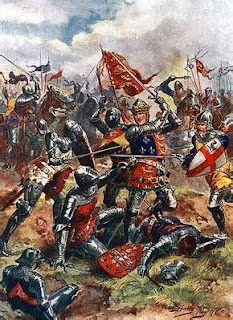 Apologies to all for this and I am feeling rather foolish about the whole affair - next time it will be far more focused on a tactical battle rather than trying to fit a campaign in a few posts!